I believe our most important role as a parent is to point our children to Jesus and teach them His ways. We strive to accomplish this in a variety of ways: by the way we love and tenderly care for them, by being an example they follow, by filling our home with worship, and of course by teaching them the truth of the Scriptures. As an artist, one way I connect with God is through the beauty of creativity. I love meditating on the Scriptures and drawing visuals from the words I have read to solidify them in my mind. I am the designer of The Jesus Storybook Bible and I can tell you that when I sit in church and hear preaching on The Sermon on the Mount, I still picture the sparrows gathering food in shopping carts and grocery bags that I brainstormed for the bible! I guarantee that your children are visual learners also. Throughout the ages, the church has used art to communicate to our hearts. In the medieval era Bible stories and symbols were told through the stained glass windows so that the illiterate could gain understanding. Today’s society bombards our kids with visual images, so why not use art to further teach them the Scriptures? You most likely will not have an open Bible in every room of your house, but you CAN have God’s Word living and active on your walls. I have chosen to fill my home with Scripture art both to benefit me and my mind, as well as my children’s. Even before they could read, we would talk about the verse and the image and why I chose it, as I hoped that when they would walk into that room and see the image every day, their hearts would think of Jesus and His love for them. Now that my children are older and reading, I put Scripture art in their room that they visually connect with and draw them into the text. One example is the Proverb art above. 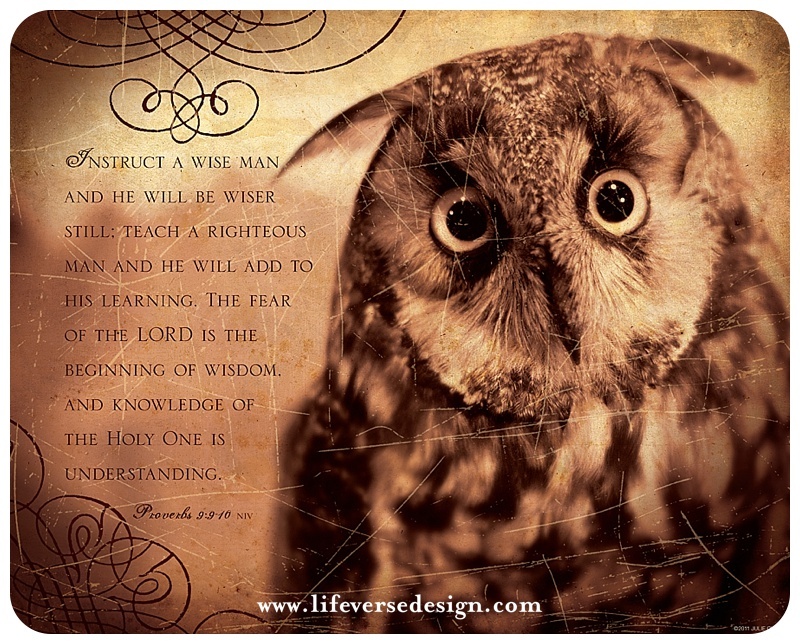 My son LOVES owls and we were talking a lot about living wisely last year, so I created this art just for him, knowing he would desire to look at the owl and study it and therefore also read the truth of God’s Word. 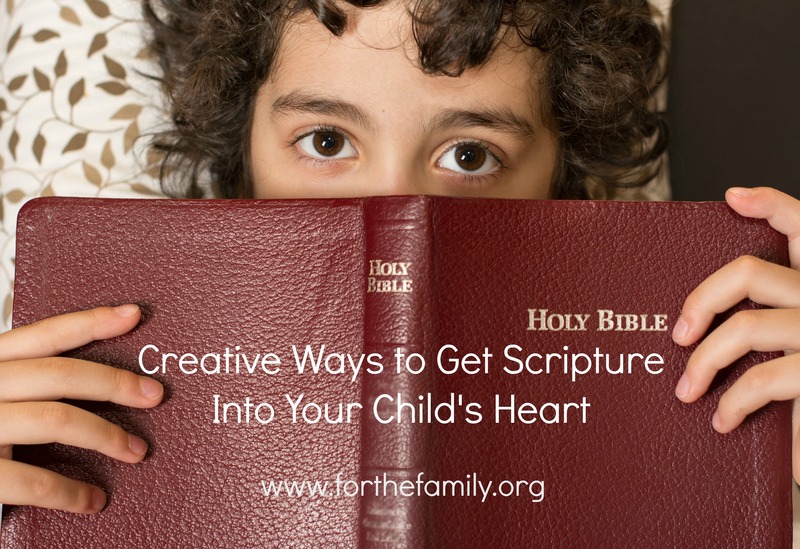 Besides surrounding your children with Scripture visually, I encourage you to have creative devotions with them: choose a bible verse, read it, brainstorm visual images that come to mind and have THEM illustrate the verse however they like. Maybe it will be very literal or maybe more symbolic or abstract, but I believe that this activity allows for visual learners to express worship and deepen understanding in a way that words or music may not. You creatives out there can start a Scripture art sketchbook with your kids and have them draw one bible verse a week. It is a great way to process the Word as you must first really get into the verse to then communicate it back. 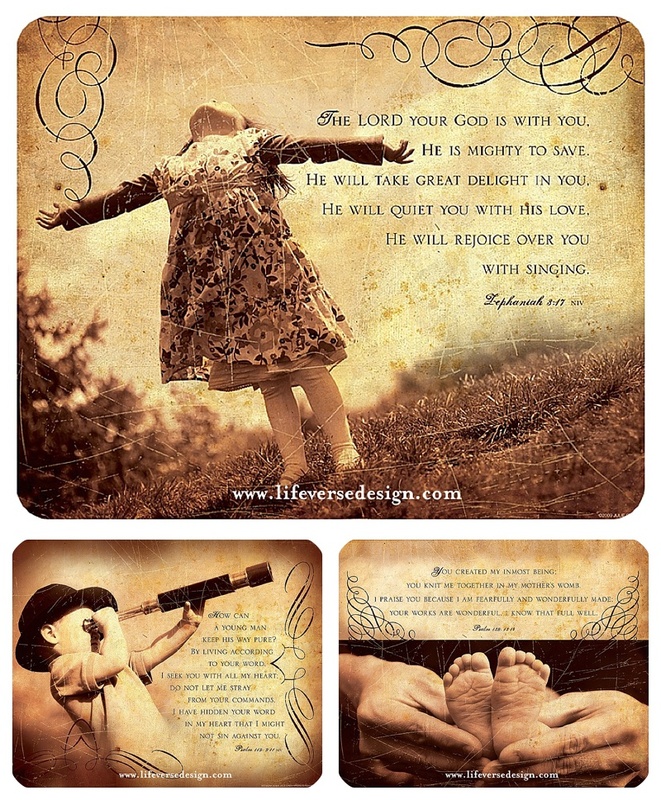 Because I am SO PASSIONATE about getting Scripture before your child’s eyes, I am offering a buy one get one FREE sale on any 8×10 fine art print in my shop, www.lifeversedesign.com + FREE SHIPPING on all orders. No coupon code needed. At check out in the special instructions box, just write in the name and color scheme of the art you would like for free. Offer good now through Monday, January 26 on 8×10 fine art prints only. You may use the offer as many times as you like & please pass it along to a friend! I would love to hear how Scripture art and creative expression have furthered your personal faith. As a first grader, Julie Chen wrote in her journal that she wanted to be an artist and a missionary when she grows up. God has fulfilled this dream and Julie is a designer, illustrator, and photographer. She designs books and is the creative director of Life Verse Design. Her work has transformed lives of people all over the world. More importantly, she is a child of God, wife to the best hubby in the world, and mommy to her 3 greatest joys.